UN Secretary-General Antonio Guterres was Prime Minister of Portugal between 1995 and 2002. United Nations: UN Secretary-General Antonio Guterres is proposing to shut down the UN peacekeeping mission in Haiti by October and replace it with a much smaller UN presence, according to a report obtained by AFP on Monday. The proposal to close the 13-year-old UN Stabilization Mission in Haiti, known by its French acronym MINUSTAH, comes as the United States is planning major funding cuts to the United Nations. Mr Guterres said in the report sent to the Security Council last week that all 2,370 soldiers serving in the peacekeeping mission should be gradually withdrawn "and that the mission close by October 15, 2017." A new mission would be established that would retain 295 of the current 1,001 police officers serving in MINUSTAH, and the civilian staff would also be significantly reduced. "The successor mission would be a smaller peacekeeping operation focused on the rule of law and police development," Mr Guterres said in the report sent to the council on Thursday. Based in Port-au-Prince, the UN team would "also monitor and exercise an early warning function for conflict prevention, human rights and rule of law issues at the local level through the use of mobile teams." The Security Council will decide on the future of the Haiti mission next month. Mr Guterres proposed that MINUSTAH's mandate be extended for six months during which it would wind down operations and pave the way for the smaller mission. With its annual budget of $346 million, MINUSTAH does not rank among the costliest peacekeeping operations run by the United Nations, but its closure could send a signal about the need to streamline UN peacekeeping. 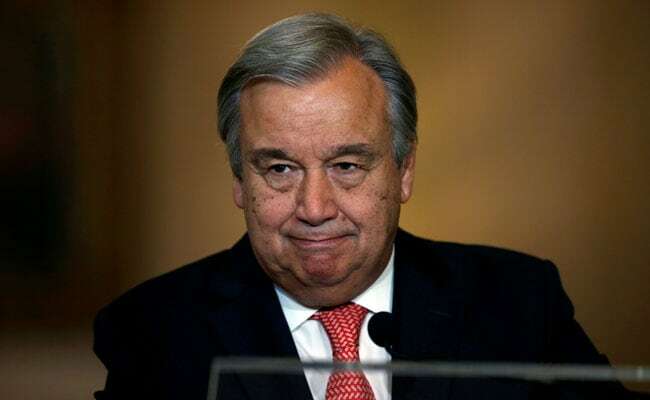 In his report, Mr Guterres said there had been "significant progress" in Haiti's road to stability and that the poor Caribbean nation was "relatively stable." The mission was deployed in 2004 after the departure of president Jean-Bertrand Aristide to help stem political violence but it has not endeared itself to Haitians. An outbreak of cholera in 2010 was introduced by Nepalese UN peacekeepers serving in the mission. More than 9,000 Haitians have died in the epidemic.